This is a beautiful Miriam Haskell necklace. 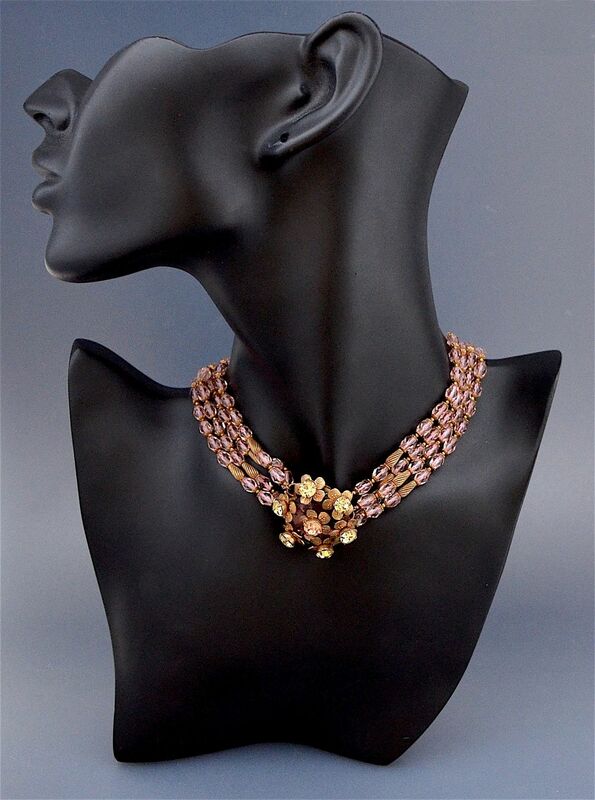 in the centre of the necklace is a round gilt metal filigree backed plate set with faceted pink paste stones. Set above and round the edge of the paste set plate are 6 gilt metal flowers set with a round faceted lemon paste stone with a further gilt metal flower with a round faceted pink paste stone set in the centre of the plate. 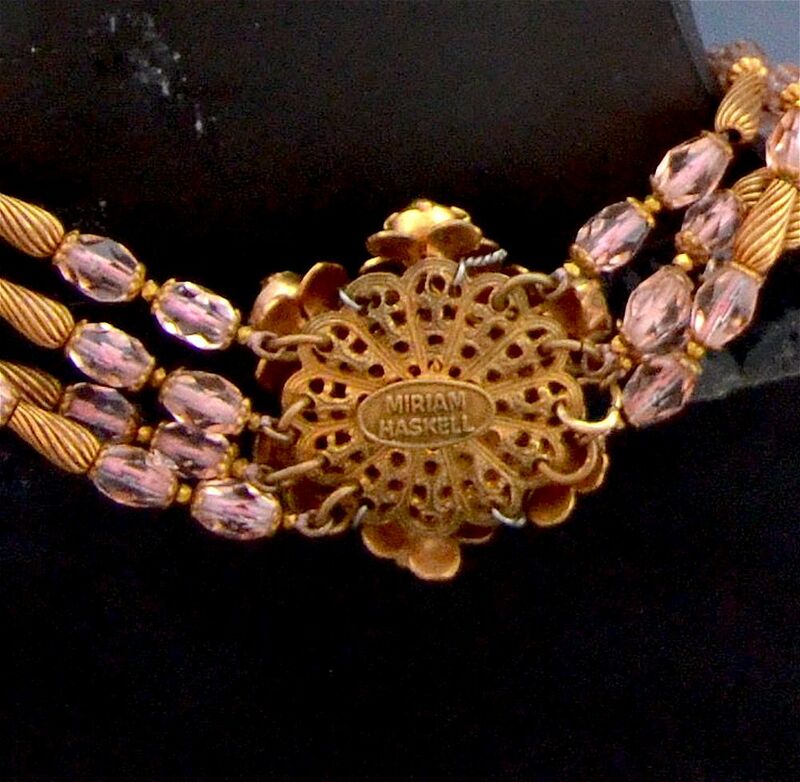 The centre plate is attached on each side to 4 rows of pink faceted paste beads separated by small gilt metal roundels. There is a rectangular gilt metal filigree fastener. Signed "Miriam Haskell" in an oval gilt cartouche.